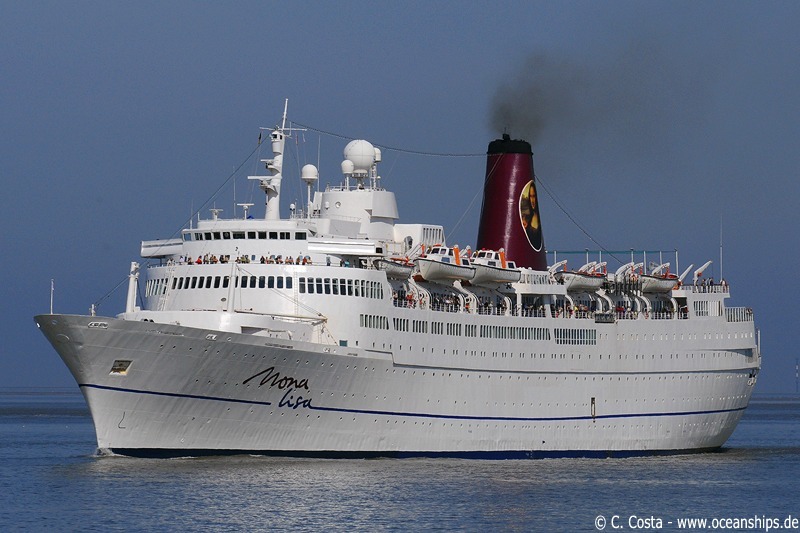 Cruise vessel Mona Lisa is arriving in Bremerhaven on June 29th, 2009. 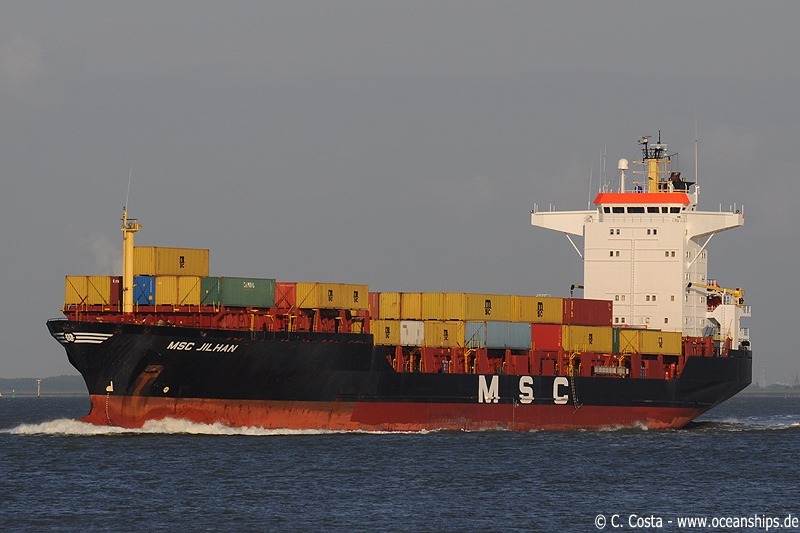 Feeder vessel MSC Jilhan is passing Walsoorden on May 26th, 2009. 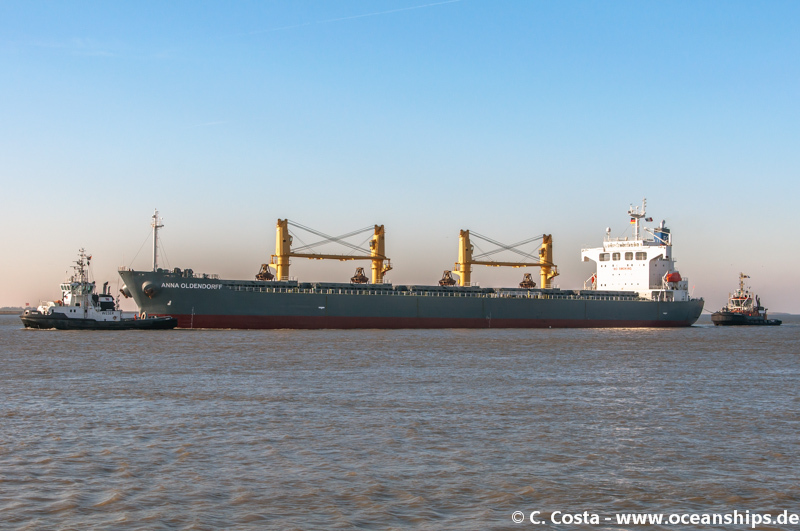 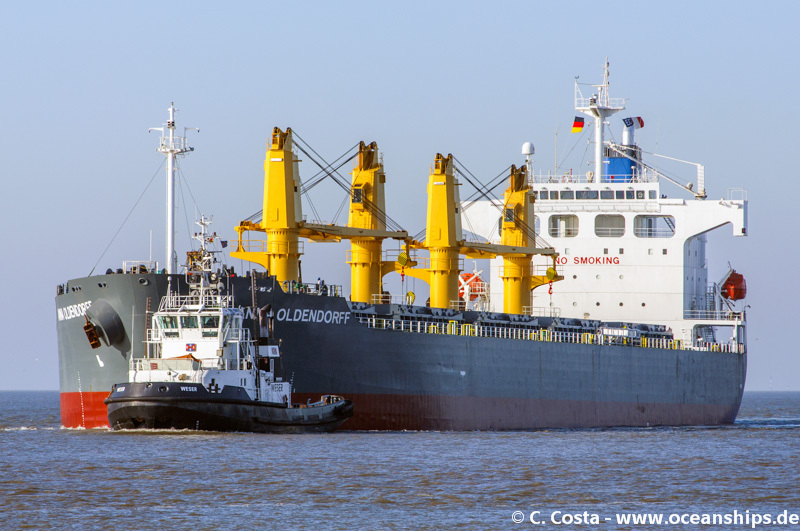 Bulk carrier Anna Oldendorff is passing Bremerhaven on October 28th, 2014. 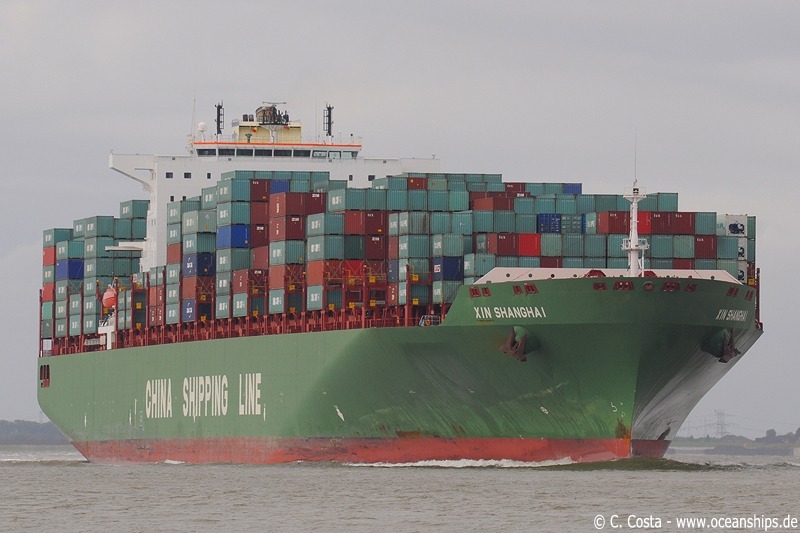 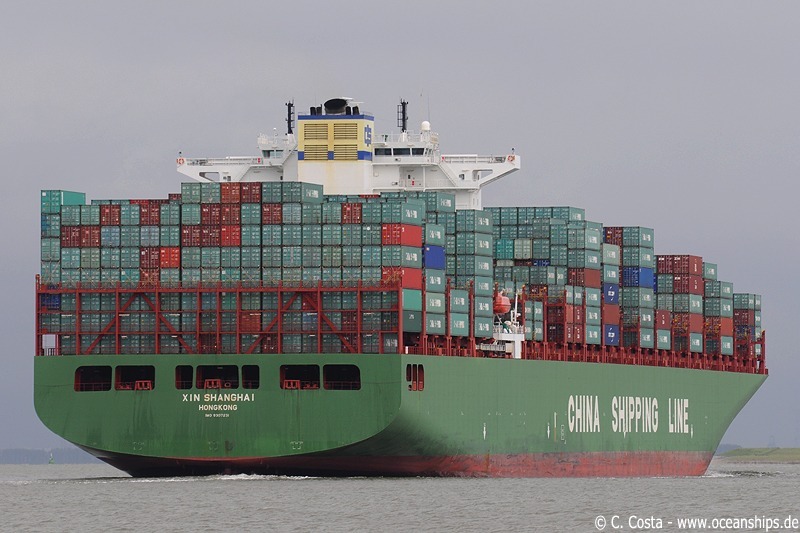 Xin Shanghai is passing Walsoorden on May 26th, 2009. 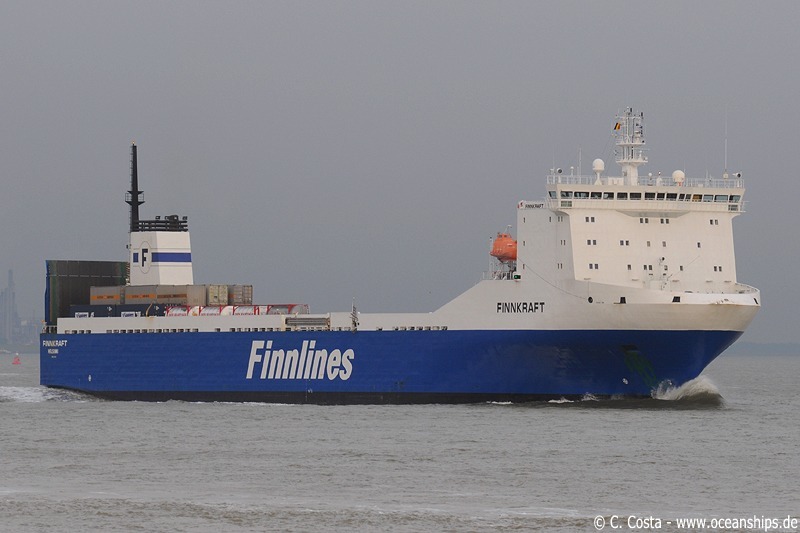 Ro/Ro vessel Finnkraft is passing Griete on May 26th, 2009.